We want you to know the facts about Matcha. 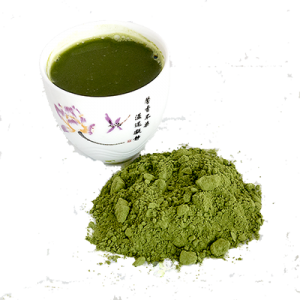 Many tea stores make claims that Matcha has 137% more antioxidant/polyphenol content than other teas. This is not completely true! One study–only one–reached that conclusion. The actual fact is 10-20% higher levels. When the tea leaves are ground into a powder, they do have an initial high-level. However, when a package of Matcha is opened, the antioxidants begin to dissipate immediately. Within three months, only trace amounts remain. Matcha tea also contains a very high concentration of caffeine, though roughly 1/3 that of a cup of coffee. The increased energy is calming due to the high level of L-theanine. Do you put milk in your tea? Doing so creates a barrier to the absorption of antioxidants. Baking cakes, muffins, loaves of bread, or other foods also reduces the efficacy of Matcha. So, enjoy your Matcha experience, but don’t be fooled by all the hype. 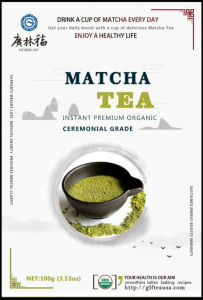 At GLF Tea USA we carefully select our Matcha from USDA certified organic suppliers. You’ll only get the purest ceremonial grade Matcha! This tea is perfect for drinking, but can also be added to cookies, cakes, and you can even make your own green tea ice cream..yummmm!